From his early David Cronenberg shockers to The Lord of the Rings and the Hobbit, here's our pick of Howard Shore's best film scores. Howard Shore may have gone on to work on huge Hollywood movie scores, but he had humble beginnings on a variety of gory horror films. 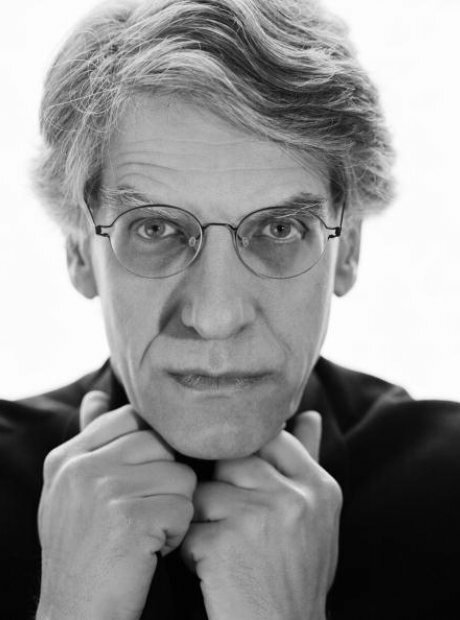 Scanners, directed by David Cronenberg (pictured) in 1981, had a slightly strange plot about exploding heads - and a score to match. Shore's work on horror movies began to cross over into the mainstream with The Fly, David Cronenberg's seminal body-shocker in which Jeff Goldblum begins to turn into the titular insect. Shore even turned it into an opera. Sir Anthony Hopkins and Jodie Foster scooped up all the awards for The Silence Of The Lambs, but Shore's dark and brooding score did just as much to create the right atmosphere. This biopic of the world's worst director Edward D. Wood Jr features an exquisite performance from Johnny Depp, and an equally exquisite score from Shore. The only Tim Burton film not to have a Danny Elfman score - they'd fallen out at the time and only reunited after two years with Mars Attacks. David Fincher's intense serial killer thriller contains one of the most memorable and gruesome endings in movie history - and we think it might be something to do with a certain Howard Shore. Keira Knightley was among the stars of A Dangerous Method, telling the story of psychotherapy's origins, and so are the expert soundtrack skills of Howard Shore. Mel Gibson's hard-boiled detective thriller based on the BBC TV series of the same name benefitted from a suitably charged and atmospheric score. Proving he can tackle the most difficult of subject matters with suitably sympathetic and evocative music, Howard Shore's score for Eastern Promises is another iconic gem. The trilogy that really put Howard Shore on the map. In a similar way to John Williams' scores for the Star Wars trilogy, Shore's work on the Tolkien-inspired series of movies produced music as iconic as the films themselves. Classic FM listeners have consistently voted this as their all-timed favourite movie score. Leonardo DiCaprio played the legendary aviation pioneer Howard Hughes in Martin Scorseses' biopic. Shore turned in yet another perfectly realised and sympathetic soundtrack. Drama doesn't get much more tense than this, with Philip Seymour Hoffman and Meryl Streep locked in a moral conflict. And who's that on the soundtrack? Howard Shore, of course! The Twilight Saga was given a dash of musical magic when Howard Shore was announced as composer for the second instalment, Eclipse. Brilliant young actors Asa Butterfield and Chloe Moretz at the premiere for Hugo, Martin Scorsese's epic 3D adventure movie. And it's not the first time Scorsese has called on Howard Shore for the music, either. Twilight star Robert Pattinson took a darker turn in David Cronenberg's tense drama, and once again Cronenberg enlisted Shore to give just the right atmosphere. Not quite capturing the public imagination as 'The Lord of the Rings' did, Shore revisited some of the magnificent musical motifs from the first trilogy, before launching into a completely original sound world. The music for 'An Unexpected Journey' was performed by the London Philharmonic Orchestra while 'The Desolation of Smaug' and 'The Battle of the Five Armies' were recorded in Peter Jackson's native New Zealand.